It is hard to imagine what it must be like to be in the middle of the unstable and malevolent political landscape that has plagued the United States and Iran. Ever since the Bush administration began the “global war on terrorism” with Operation: Enduring Freedom, relations with countries in the middle east have been strained, to say the least. Among those aforementioned countries is Iran; and while rapprochement has been a perpetual battle–at times even appearing to be a winning one–it seems to be a more complex state to achieve. For the past 18 months, one man has been thrust in the middle of this complicated relationship between the United States and Iran; and that man is Jason Rezaian. Jason Rezaian, having both American and Iranian citizenship, has been based in Iran since 2008, working as a journalist for the Washington Post. As reported by the Post on July 24, 2014, a small group of journalists and their spouses were seemingly randomly arrested. Rezaian was among them. The other couples were released in weeks, and even Rezaian’s wife was released on bail on October 6, according to the New York Times. Rezaian’s fate, however, would not be nearly as simple. The Iranian government would not disclose information regarding Rezaian’s condition nor whereabouts, and it was not until December of last year that Iran announced that he had been charged for “unspecified offenses”. All of this occurred almost a year ago, and specifics on the situation have yet to surface. It was not until May of this year, that Rezaian’s trial began; subsequently ending in August. The Iranian government still had not released any information regarding the trial, the verdict, or even the charges that Rezaian faced. 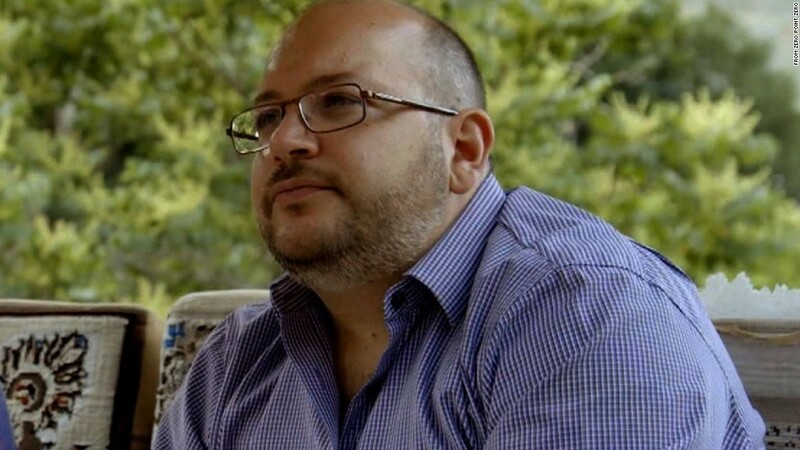 This past week, the Iranian court announced that Rezaian was charged with espionage–for doing his job as a journalist–and that the verdict was guilty. Some feel as though Rezaian is being used as a bargaining chip for Iran in gaining some kind of leverage over the United States, as the entire trial has the appearance of a façade. Republican candidates for the president of the United States have gone so far as to say that Rezaian is a political hostage. While the United States and Iran have had a tumultuous past, both politically and economically, the way that Iranian authorities have handled this situation is unjust. Jason Rezaian is a not only a legal Iranian citizen, but has been working in the country for the latter half of a decade, reporting for the Post, and adhering to the local laws. In stark contrast, Iranian authorities have conducted themselves in an unconscionable way, obfuscating the details of a trial that never should have occurred, and demonstrating a lack of adherence to international law, and Iranian law.